Places of Pain and Shame is a cross-cultural study of sites that represent painful and/or shameful episodes in a national or local community’s history, and the ways that government agencies, heritage professionals and the communities themselves seek to remember, commemorate and conserve these cases – or, conversely, choose to forget them. Such episodes and locations include: massacre and genocide sites, places related to prisoners of war, civil and political prisons, and places of ‘benevolent’ internment such as leper colonies and lunatic asylums. These sites bring shame upon us now for the cruelty and futility of the events that occurred within them and the ideologies they represented. They are however increasingly being regarded as ‘heritage sites’, a far cry from the view of heritage that prevailed a generation ago when we were almost entirely concerned with protecting the great and beautiful creations of the past, reflections of the creative genius of humanity rather than the reverse – the destructive and cruel side of history. Why has this shift occurred, and what implications does it have for professionals practicing in the heritage field? In what ways is this a ‘difficult’ heritage to deal with? 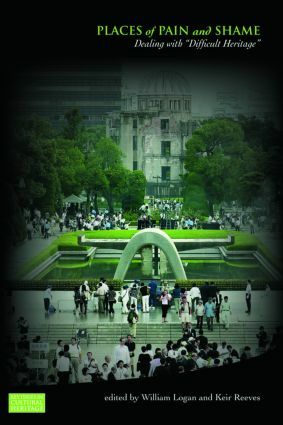 This volume brings together academics and practitioners to explore these questions, covering not only some of the practical matters, but also the theoretical and conceptual issues, and uses case studies of historic places, museums and memorials from around the globe, including the United States, Northern Ireland, Poland, South Africa, China, Japan, Taiwan, Cambodia, Indonesia, Timor and Australia.